The United States is in the throes of two unfolding energy revolutions, and partisans - convinced that only their side holds the key to American prosperity, security, and safety - are battling over which one should prevail. 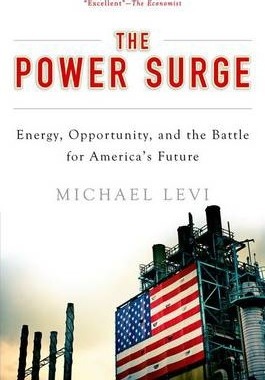 In The Power Surge, Michael Levi takes readers inside these revolutions. He shows how oil and gas production, after decades in decline, are being propelled upward by new technologies and high prices, prompting enthusiasts to predict an economic renaissance and impending energy independence. On the other side of the fight, he visits eco-startups and manufacturers betting on a new energy future, revealing how more efficient cars and trucks are increasingly dominating the road and costs for renewable energy have plummeted, leading many to herald a starkly different future that moves beyond fossil fuels and saves the planet. Armed with on-the-ground lessons, and drawing on insights from economics, politics, international relations, and climate science, The Power Surge takes on the big claims made by both sides in the fight over American energy, explaining why the purists are often wrong. Both unfolding revolutions in American energy offer big opportunities for the country to strengthen its economy, bolster its security, and protect the environment. Levi shows how to seize those with a new strategy that blends the best of old and new energy while avoiding the real dangers that each poses.